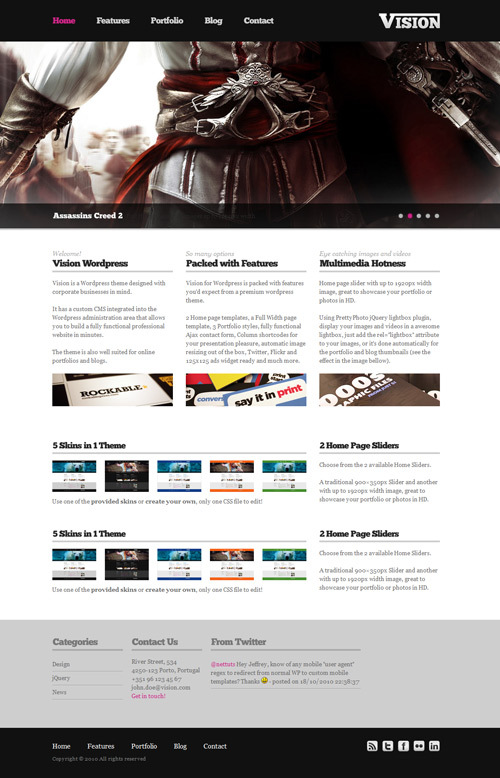 Vision is a WordPress theme designed by Themeforest with corporate businesses in mind. It has a custom CMS integrated into the WordPress administration area that allows you to build a fully functional professional website in minutes. The Vision theme is also well suited for online portfolios and blogs.